#34 - Actress Ana Alicia: A Fearless Star of "Falcon Crest" • Where Hollywood Hides... the home of classic TV, movies, music, & celebrities! Actress Ana Alicia has a free-wheeling up-tempo conversation with Bob & Suzanne as she holds nothing back in telling her very personal story. 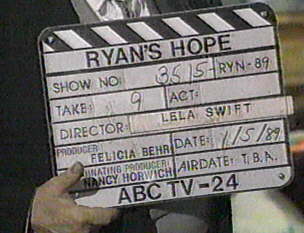 She describes her first screen test—and why she wore a casting director’s sweater over her own clothes—and how that propelled her into a starring role on Ryan’s Hope at the age of 20. Ana talks candidly about the real world of auditions, casting sessions, and working on the sets of more than 30 major TV shows and movies as she gives a compelling lesson in determination, preparation, and the focus it takes to make it as an actor in Hollywood…and the hard choices involved in choosing family and motherhood over a stellar career. This is an inspiring, educational, and heartfelt conversation…and it’s not to be missed. It’s an instant download and yours to keep!